Is this McDonald’s emo counterpart to Burger King’s “goth” burger? McDonald’s have launched their Modern China Burger overseas. The sandwich, which contains two pork patties, bacon, lettuce and thousand island dressing, sets itself apart from competitors by boasting silver buns. Yes, silver buns. 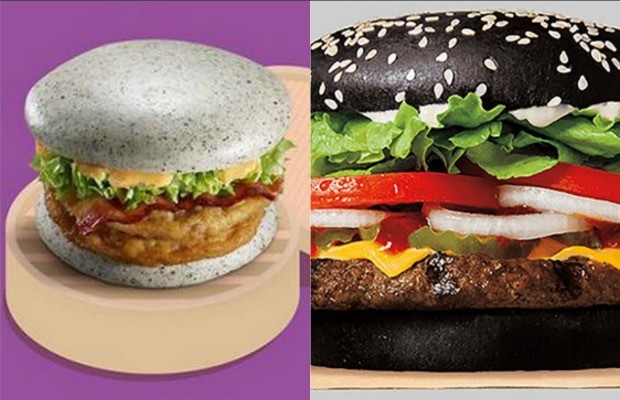 So, if Burger King’s recently launched black-bunned burgers could be classified as goth, is this Mcdonald’s emo counterpart? It looks fairly laid back, but also like it could be aggressive when it needs to be.